Andrew Stern provided this photo of Apple already preparing the Yerba Buena Center for the Arts a week ahead of schedule. 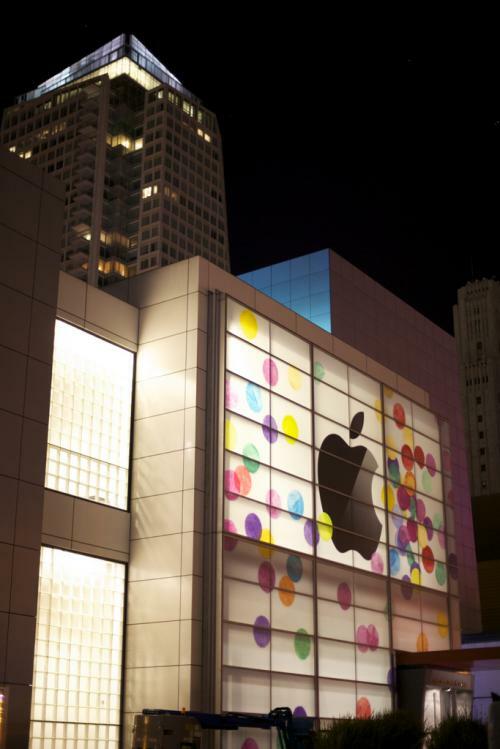 Apple just today invited select media to an event on March 2nd at 10 a.m. Pacific. While Apple is expected to release the new MacBook Pros tomorrow (Thursday), Apple is not holding a special media event for that launch. The image doesn't match up with the invite which clearly hinted at an update to the iPad. Instead, it shows colorful dots surrounding an Apple logo. 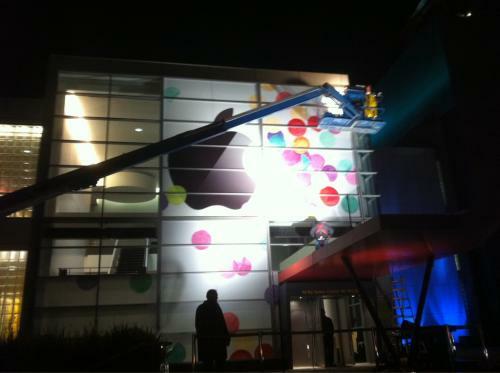 Update: MacLife posts several more shots from tonight as the panels were still being put up. Click for larger. Used with permission.